East Marlborough Township Municipal Offices are located at 721 Unionville Road, Kennett Square, PA 19348. Phone: 610-444-0725. Photo: South Brook Farm, ca. 1717 & 1940, junction of Bird and Street Roads, East Marlborough Township, Chester County, PA. Listed on the National Register of Historic Places in 1991. Photographed by user:Jerrye and Roy Klotz, MD, 2012, (own work) [cc-by-3.0 (creativecommons.org/licenses/by/3.0)], via Wikimedia Commons, accessed November, 2016. 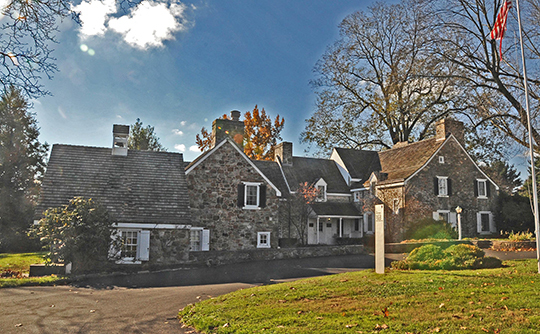 Arguably the township's most significant historic structure is "Cedarcroft," circa 1859, built by Bayard Taylor, a nineteenth-century poet and writer of some note, especially for his travel journalism.